What Recipes Ask for Oyster Crackers? Some recipes that call for oyster crackers are Parmesan oyster crackers, ranch oyster crackers and cinnamon sugar oyster crackers. Some recipes, such as Cincinnati chili, use oyster crackers merely as a topping. 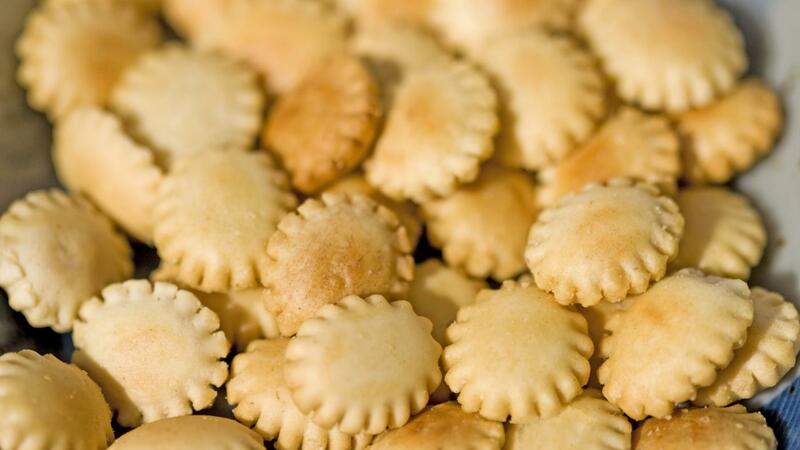 Make Parmesan oyster crackers by mashing 2 garlic cloves with salt to taste until a paste forms. Combine 1/2 stick of unsalted butter, 2 tablespoons of extra-virgin olive oil and the garlic paste into a pan at medium heat. Once the butter melts, add 2 cups of oyster crackers and 1 handful of minced parsley. Toss everything well, and spoon the mixture into the bottom of a rimmed baking sheet. Season the crackers with salt, pepper and 1/4 cup of grated Parmigiano-Reggiano, and bake them at 250 degrees Fahrenheit for 25 to 30 minutes. Another savory oyster crack snack recipe calls for combining 1 package of ranch-style dressing mix, 1/2 teaspoon of dried dill weed, 1/4 teaspoon of lemon pepper and 1/4 teaspoon of garlic powder in a bowl with 1/4 cup of vegetable oil. Add the oyster crackers, and spread everything on a rimmed baking sheet. Bake the crackers at 250 degrees Fahrenheit for 15 to 20 minutes. To make the recipe sweet instead of savory, toss 1 bag of oyster crackers with 8 tablespoons of melted unsalted butter, 1 cup of white sugar and 2 tablespoons of cinnamon. Bake them in the oven at 250 degrees Fahrenheit for 30 minutes. What Are Some Easy Angel Hair Pasta Recipes? What Are Some Recipes Containing Tater Tots and Cheese? What Are Some Easy Dip Recipes That Use Sour Cream? What Are Some Baked Brie Appetizer Recipes? What Are Some Snack Recipes That Use Crispix Cereal?